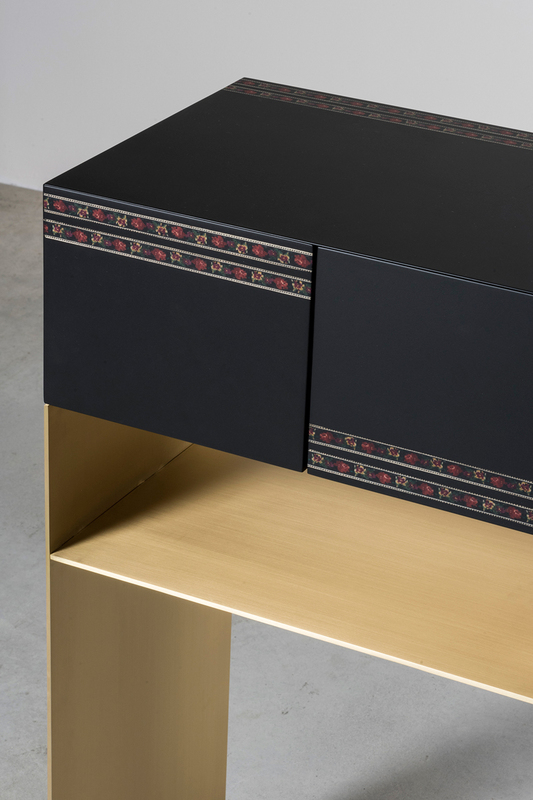 Gupica presents Sartorial Tables, two matching end-tables designed exclusively for Nilufar, inspired by the theme of sartorial dressmaking and the research between ornament and design: the decorative function of embroidery, taken directly from the world of dressmaking, is transposed into design furniture. 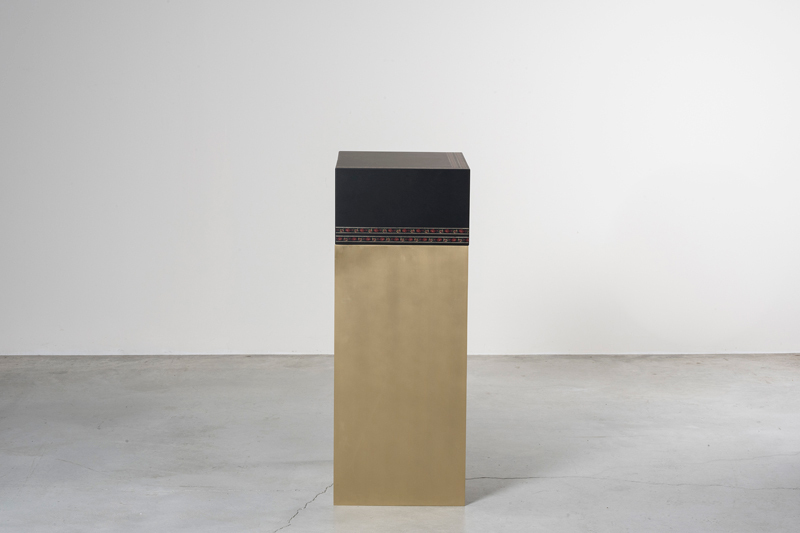 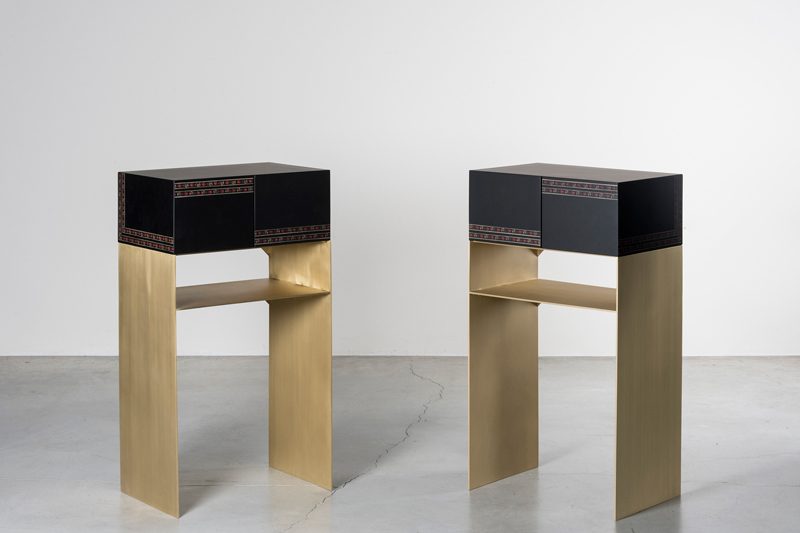 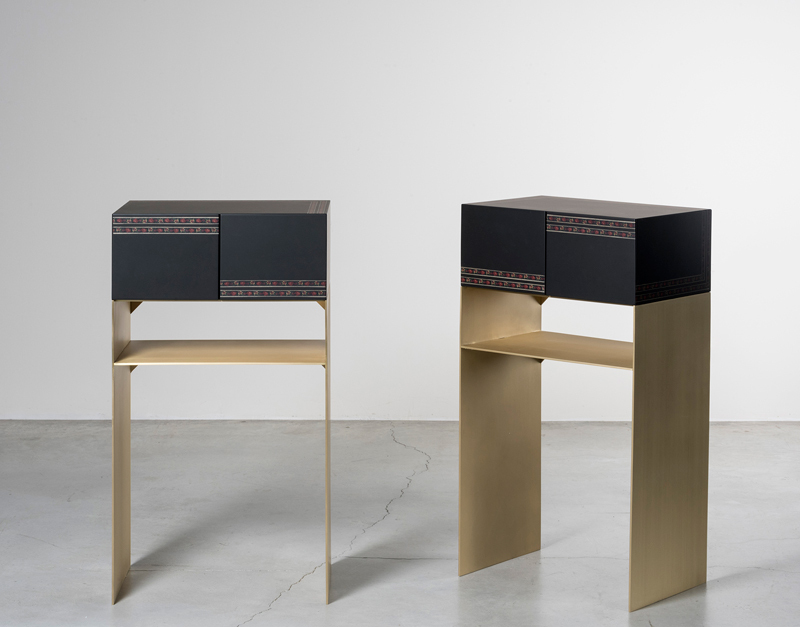 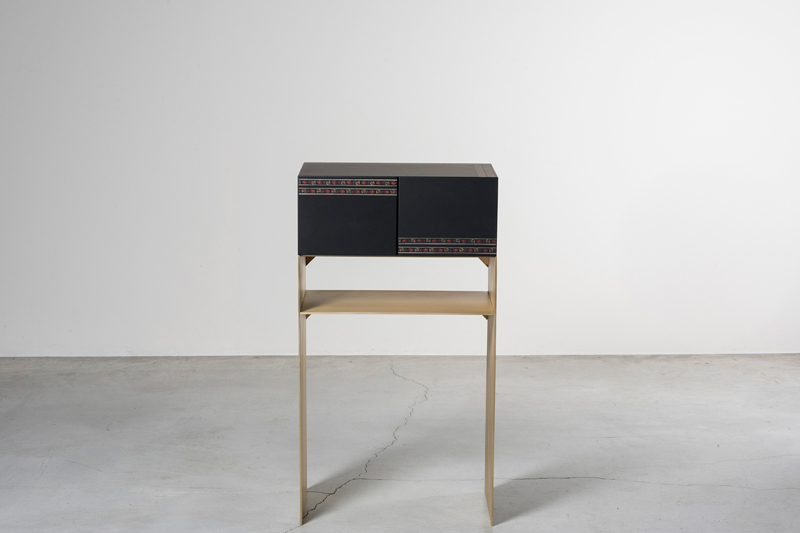 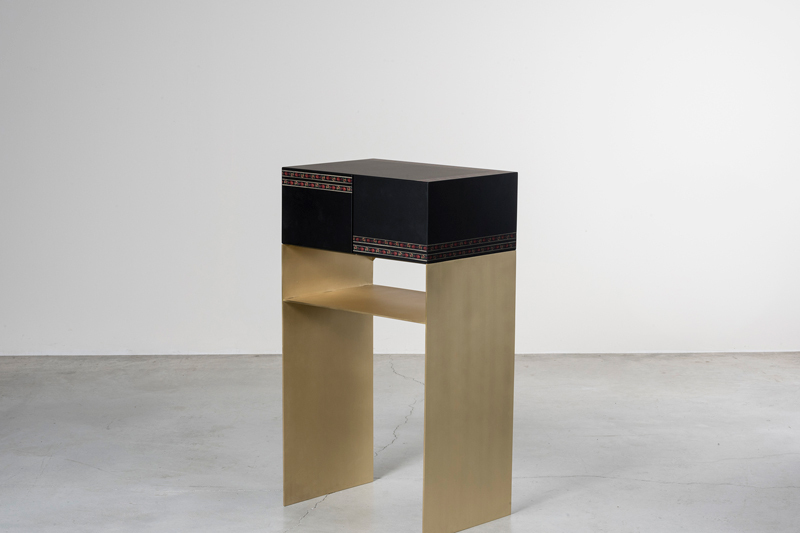 Created from a combination of brushed brass and lacquered wood, the tables contain two drawers that, when closed, disappear into the structure. 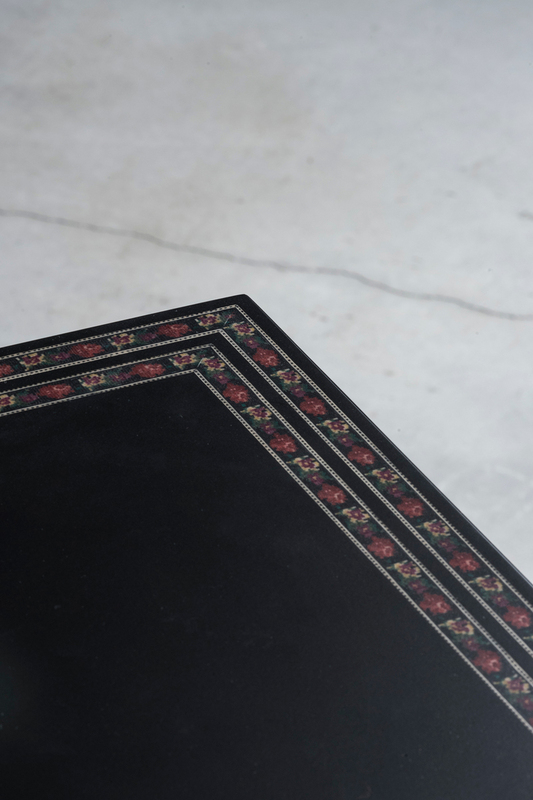 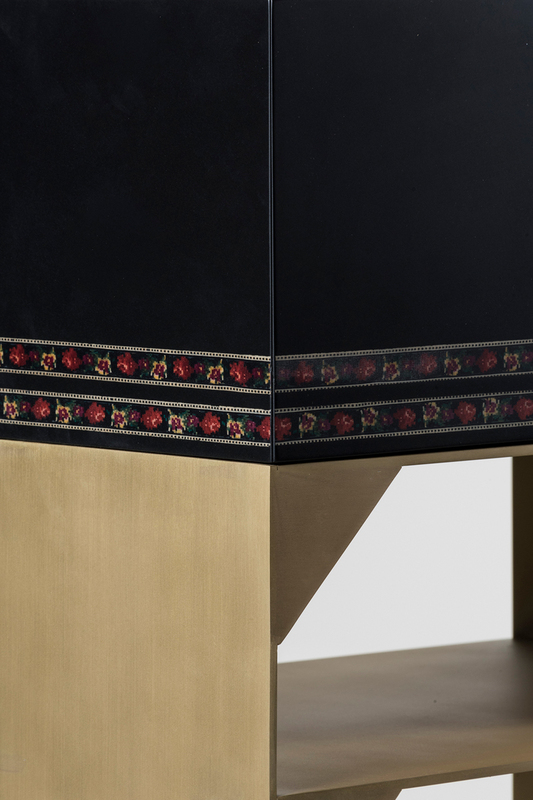 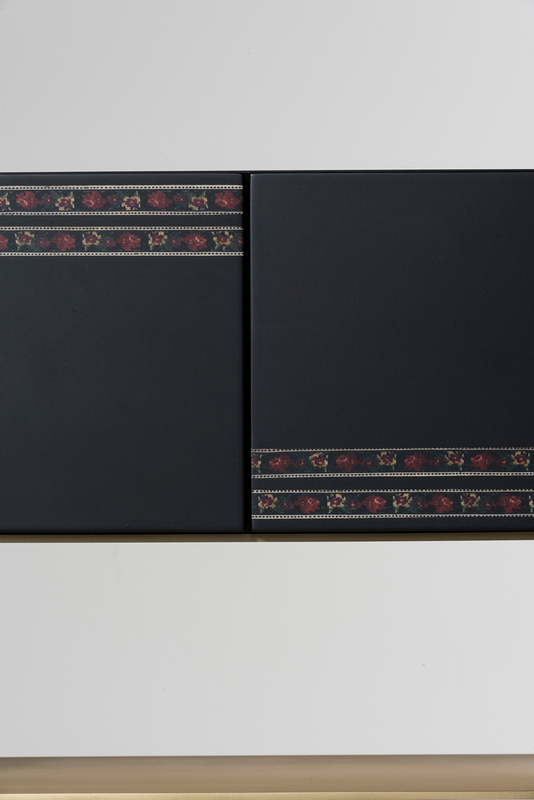 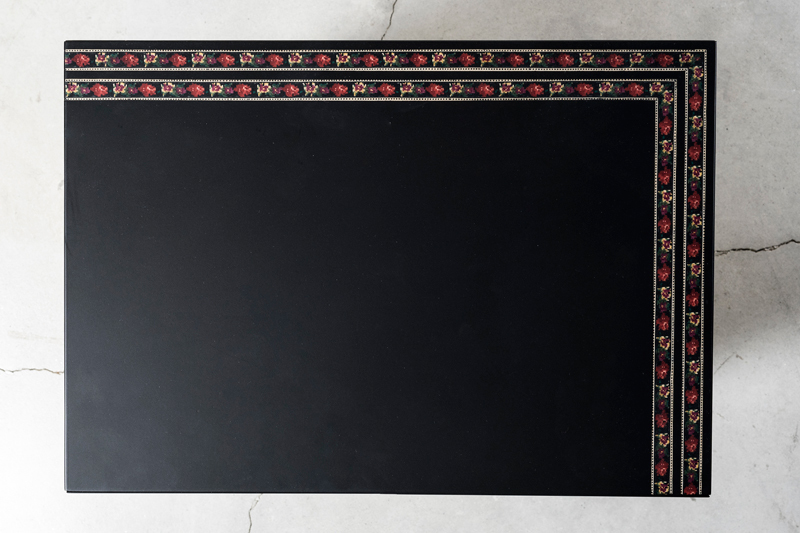 The sartorial theme is expressed in handcrafted wooden edges which contain colorful micro mosaics running along the borders, recalling traditional fabric trimmings of haute couture clothing.